Hong Kong is a vibrant and exciting place to live and work, with established Expat communities and a growing demand for professional skills in the area. The quality of life can be extremely high but it comes at a cost , however HSBC’s Expat Explorer Survey found that expats who have moved to live and work in Hong Kong report up to a 58 per cent increase in disposable income as a result so its easy to see why moving to Hong Kong remains a very attractive destination for Expats on a career path. Hong Kong is a global hub for trade and finance, with most global players having a significant presence in the territory hence the reason that there are a lot of work opportunities. However the days of the all inclusive “Expat package” are rare, with most large international companies preferring to employ expats on lucrative local packages. 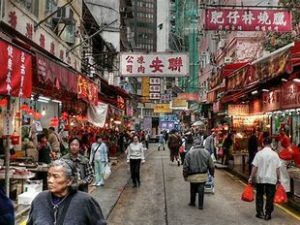 English is widely spoken, but a working knowledge of Mandarin is a clear advantage for any Expat, as Hong Kong is still widely considered to be a gate-way into the huge China market. That said Expat jobs aren’t as easy to come by as they once were, due to new legislation requiring companies to prove that the role cannot be filled by a local before employing an expat. But this hasn’t stopped plenty of people from relocating, with most foreign residents at present originating from European and other Eastern Asian destinations and 78 percent of expats finding full-time work here, compared to a global average of 61 percent. Salaries are generally in-line with most major commercial cities (London, New York etc) however income tax is low with a standard rate at 15%. The cost of living in Hong Kong is said to be 10 percent cheaper than London, roughly comparable to living in Paris and around 13 percent cheaper than living in New York City. What is clear from any comparison made to major cities around the world is that Hong Kong comes out on top for being the most expensive city to purchase or rent property in. If you’re not earning an executive level salary though, it is still possible to live comfortably within Hong Kong, albeit in one of the less attractive districts and in a small apartment. Generally speaking most Expats would live in apartments ranging from 300 square feet (for a mid level manager with no kids) upto 3000 square feet (for the top level executives with family). Hong Kong benefits from an impressive public healthcare system, and many private hospitals and clinics. The public system is excellent, well funded and resourced with many overseas trained Doctors and Carers. The private hospitals can be likened to 5 star hotels, but come at a price and so generally health insurance is a necessity if private is your choice. Hong Kong is an extremely safe city for Expats, cases of burglary or violence against Expats are very rare. Brexit: The French are moving out of London in their hundreds.